It is no secret that the cost of tertiary education in South Africa is too high for most of its youths. The country’s high Gini Coefficient means that there is a huge systemic disparity between the haves and have nots. The inequality between the rich and poor in South Africa is one of the highest in the world. The private for-profit sector is compelled by law to contribute to the alleviation of poverty through the compulsory 2% of profit after tax and this has seen a rise in corporate contribution to worthy causes including funding students for their education. 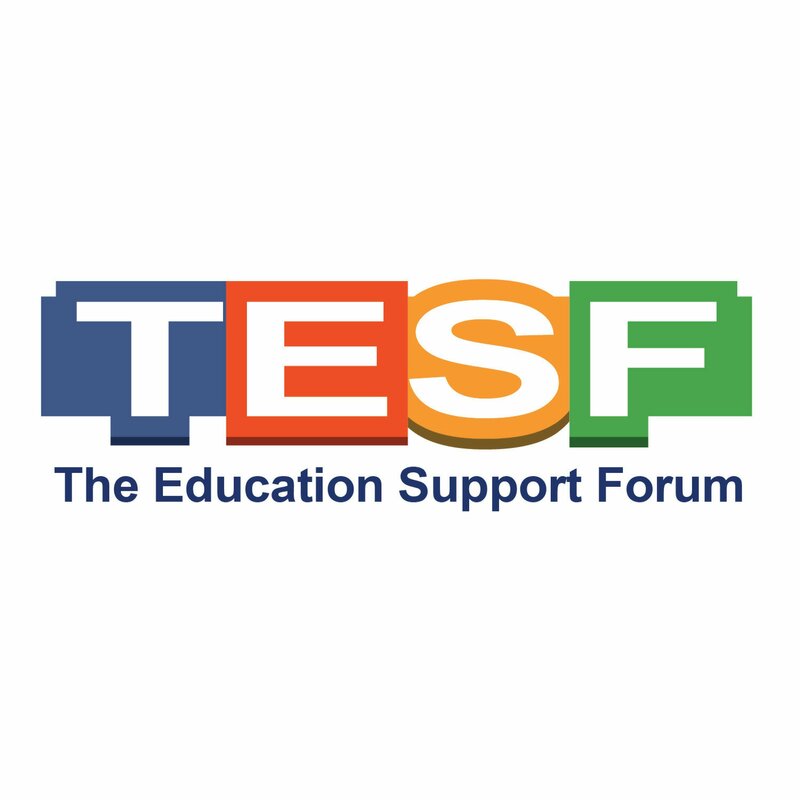 The for-profit private sector cannot solve the complex problem of student funding and achievement in school alone but needs other stakeholders to take ownership of the problem and become part of the solution. Non-profits, public sector and individuals are not sleeping but contributing in various ways, from policy frameworks, implementation to monitoring and evaluation of education initiatives. Local municipalities have also joined in the crusade to improve the employability and entrepreneurship of their local communities. In this spirit, the City of Johannesburg is offering bursaries to engineering students. The City of Johannesburg (CoJ) is a metropolitan municipality that manages the local governance of Johannesburg, in South Africa. 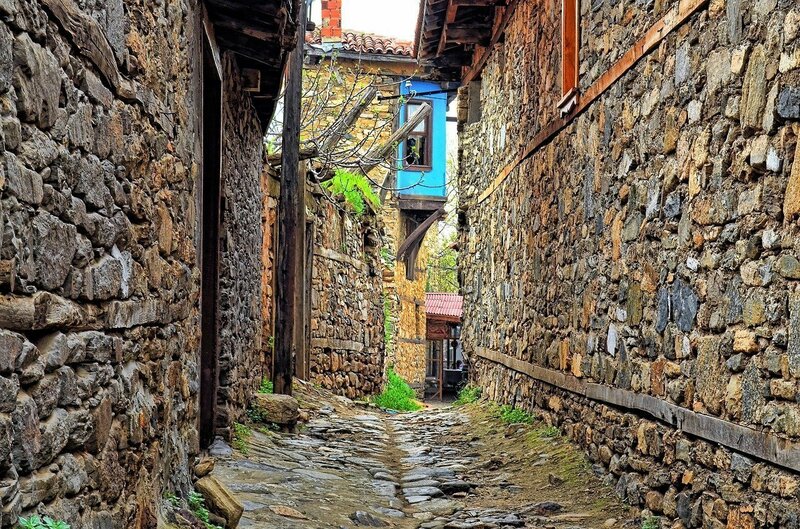 It is divided into several branches and departments in order to expedite services for the city. CoJ is offering bursaries as outlined below. 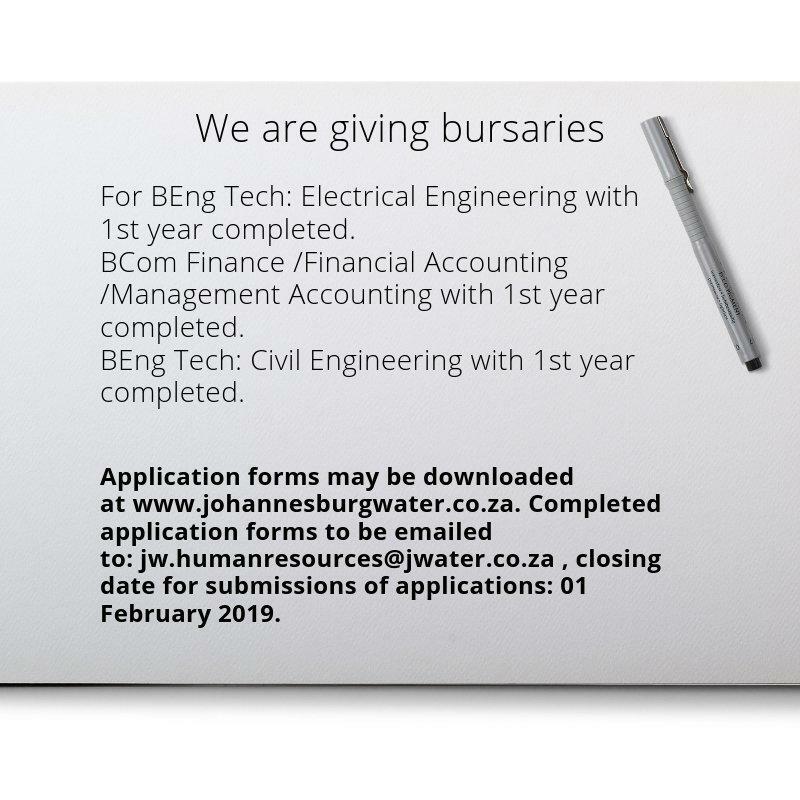 Application forms may be downloaded at https://www.johannesburgwater.co.za/job/bursary-opportunities-2019/ Completed application forms to be emailed to: jw.humanresources@jwater.co.za , closing date for submissions of applications: 01 February 2019.